The UNL Office of Graduate Studies has released a 360 video that takes prospective graduate students on a virtual tour of the UNL Architectural Engineering Program! Get an inside look at the Nebraska Acoustics Group Lab (PKI Room 210) and Acoustics Testing Chamber (PKI Room 131). To experience the 360 video fully, access it through the YouTube app on your mobile device, or on Firefox or Chrome web browsers. 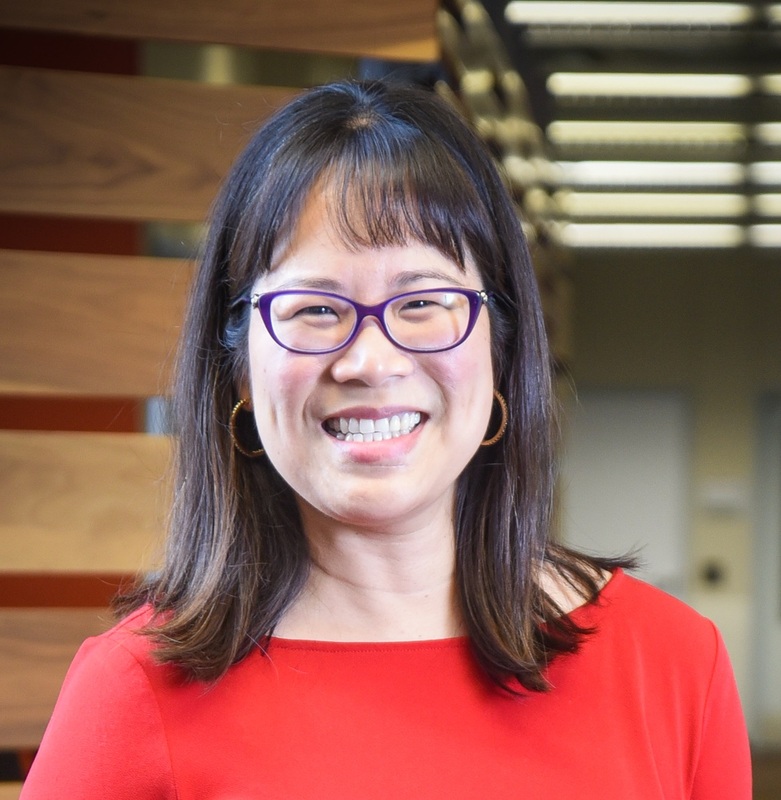 Dr. Lily Wang is a Professor in the Durham School of Architectural Engineering and Construction, and Associate Dean for Faculty and Inclusion in the College of Engineering at the University of Nebraska - Lincoln. Her primary research interests are in room acoustics and noise control. Her research group's work on human perception and performance in noise, classroom acoustics, uncertainty in acoustic measurements, and room acoustics computer modeling has been funded by AHRI, ASHRAE, the Environmental Protection Agency, the National Institute of Health, the National Science Foundation, and the Veneklasen Research Foundation. Dr. Wang is a Fellow of the Acoustical Society of America (ASA); Board-Certified by the Institute of Noise Control Engineering; a Professional Engineer licensed in Acoustics through the state of Oregon; and a recipient of the ASA Hunt Postdoctoral Fellowship, ASA R. Bruce Lindsay Award, NSF CAREER Award, and ASHRAE Ralph G. Nevins Physiology and Human Environment Award. She has also received a number of teaching and mentoring awards, including the ASA Student Council Mentoring Award. She is currently serving as President of the Acoustical Society of America (2018-19). She has previously served as ASA Vice-President (2015-16) and Chair of its Technical Committee on Architectural Acoustics (2004-07). Peng, Z. and L. M. Wang. (2019) "Listening effort by native and non-native listeners due to noise, reverberation and talker foreign accent during English speech perception" J. Speech, Language, and Hearing Research, accepted for publication. Lee, J. and L. M. Wang. (2018) "Development of a model to predict the likelihood of complaints due to assorted tone-in-noise combinations" J. Acoust. Soc. Am. 143(5), 2697-2707. Peng, Z. and L. M. Wang. (2016) "Effects of noise, reverberation and foreign accent on native and non-native listeners’ performance of English speech comprehension." J. Acs. Soc. Am. 139, 2772-2783. Ronsse, L. M. and L. M. Wang. (2013) "Relationships between unoccupied classroom acoustical conditions and elementary student achievement." J. Acs. Soc. Am. 133, 1480-1495. Ronsse, L. M. and L. M. Wang. (2012) "Effects of room size and reverberation, receiver location, and source rotation on acoustical metrics related to source localization." Acta Acustica united with Acustica 98, 768-775. Vigeant, M. C., L. M. Wang and J. H. Rindel. (2011) "Objective and subjective evaluations of the multi-channel auralization technique as applied to solo instruments." Appl. Acs. 72, 311-323. Rathsam, J. and L. M. Wang. (2010) "Planar reflector panels with convex edges." Acta Acustica united with Acustica 96, 905-913. Ryherd, E. E. and L. M. Wang. (2010) "AB-10-018: The effects of noise from building mechanical systems with tonal components on human performance and perception (1322-RP)." ASHRAE Transactions, 116, Part 2, 541-552. Wang, L. M. and C. C. Novak. (2010) "AB-10-019: Human performance and perception-based evaluations of indoor noise criteria for rating mechanical system noise with time-varying fluctuations (1322-RP)." ASHRAE Transactions, 116, Part 2, 553-568. Tiller, D., L. M. Wang, A. Musser, and M. Radik. (2010) "AB-10-017: Combined effects of noise and temperature on human comfort and performance (1128-RP)." ASHRAE Transactions, 116, Part 2, 522-540. Bradley, D. T. and L. M. Wang. (2010) "Optimum absorption and aperture parameters for realistic coupled volume spaces determined from computational analysis and subjective testing results." J. Acoust. Soc. Am. 127, 223-232. Bradley, D. T. and L. M. Wang. (2009) "Quantifying the double slope effect in coupled volume room systems." J. Bldg. Acs. 16(2), 105–123. Vigeant, M. C., L. M. Wang and J. H. Rindel. (2008) "Investigations of orchestra auralizations using the multi-channel multi-source auralization technique." Acta Acustica united with Acustica 94, 866-882. Ryherd, E. E. and L. M. Wang. (2008) "Implications of human performance and perception under tonal noise conditions on indoor noise criteria." J. Acoust. Soc. Am. 124, 218-226. Wang, L. M. and J. Rathsam. (2008) "The influence of absorption factors on the sensitivity of a virtual room's sound field to scattering coefficients." Appl. Acs. 69(12), 1249-1257. Wang, L. M. and M. C. Vigeant. (2008) "Evaluations of output from room acoustic computer modeling and auralization due to different sound source directionalities." Appl. Acs. 69(12), 1281-1293. Ryherd, E. E. and L. M. Wang. (2007) "Effects of exposure duration and type of task on subjective performance and perception in noise." Noise Control Engr. J. 55(3), 334-347. Bradley, D. T. and L. M. Wang. (2007) "Comparison of measured and computer-modeled objective parameters for an existing coupled volume concert hall." J. Bldg. Acs. 14(2), 79-90. Bowden, E. E. and L. M. Wang. (2007) "Verifying two commercial software implementations of impulse-response-based speech intelligibility measurements." Appl. Acs. 68(7), 717-728. Bradley, D. T. and L. M. Wang. (2005) "The effects of simple coupled volume geometry on the objective and subjective results from non-exponential decay." J. Acoust. Soc. Am. 118, 1480-1490. Bowden, E. E. and L. M. Wang. (2005) "OR-05-6-4: Relating human productivity and annoyance to indoor noise criteria systems: a low frequency analysis." ASHRAE Transactions, 111, Part 1, 684-692. Wang, L. M. and C. Burroughs. (2002) "Comparison of radiated power from structurally different violins." Catgut Acoust. Soc. J. 4 (6), 65-72. Wang, L. M. and C. Burroughs. (2001) "Acoustic radiation from bowed violins." J. Acoust. Soc. Am. 110, 543-555. Wang, L. M. and C. Burroughs. (1999) "Directivity patterns of acoustic radiation from bowed violins." Catgut Acoust. Soc. J. 3 (7), 7-15. Francis, J. M., J. Lee, and L. M. Wang. (2014) "SE-14-C043: Determining annoyance thresholds of tones in noise." ASHRAE Papers CD: 2014 ASHRAE Annual Conference. Atlanta: ASHRAE. Wiese, C. H. and L. M. Wang. (2011) "LV-11-C031: Measured levels of hospital noise before, during, and after renovation of a hospital wing, and a survey of resulting patient perception." ASHRAE Transactions, 117, Part 2, 256-263. Ronsse, L. M., L. M. Wang, and C. E. Waters (2010) "Industry Participation in the Interdisciplinary Team Design Project Course of a Master of Architectural Engineering Program." ASEE Midwest Section 2010 Conference, Lawrence, Kansas. Ronsse, L. M. and L. M. Wang. (2010) "AB-10-C037: Effects of noise from building mechanical systems on elementary school student achievement." ASHRAE Transactions, 116, Part 2, 347-354. Wang, L. M. and E. E. Bowden. (2003) "Performance review of indoor noise criteria." Proceedings of the 2003 Architectural Engineering Institute Conference, Austin, TX. Wang, L. M. and K. H. Smith (2019) "Acoustic conditions in occupied classrooms" 26th International Congress on Sound and Vibration (ICSV26), Montreal, Canada. Anderson, V. R., K. H. Smith, and L. M. Wang (2019) "Distributions of reverberation time measurements from restaurants with different layouts" J. Acoust. Soc. Am. 145, *(A). Smith, K. H., V. R. Anderson, and L. M. Wang (2019) "Characterization of restaurant soundscapes based on logged sound levels and occupancy measurements" J. Acoust. Soc. Am. 145, *(A). Spallino, W. and L. M. Wang (2019) "Acoustic conditions in two libraries at the University of Nebraska" J. Acoust. Soc. Am. 145, *(A). Underwood, S. H., K. H. Smith, and L. M. Wang (2019) "Adaptive reuse of unconventional spaces for performance: music in a museum and opera in a warehouse" J. Acoust. Soc. Am. 145, *(A). Wang, L. M., E. E. Ryherd, J. A. Turner and J. Zhu. (2019) “Opportunities for graduate studies in acoustics within the College of Engineering at the University of Nebraska – Lincoln” J. Acoust. Soc. Am. 145, *(A). Kabirikopaei, A., M. Kuhlenengel, A. Arthur, J. Bovaird, J. Lau, C. Waters, and L. M. Wang (2019) “The effects of indoor environmental factors on students' academic achievement” 2019 AEI Conference, Tysons, VA; 3-5 April 2019. Smith, K. H. and L. M. Wang (2019) "Relationships between acoustical, IAQ, thermal, and lighting parameters, logged over time" 2019 AEI Conference; Tysons, VA; 3-5 April 2019. Wang, L. M. (2018) "E10: Can School Buildings Make Kids Healthy and Smart? Innovative Explorations and Findings by EPA's School Health Research Grantees" Greenbuild 2018, Chicago. Smith, K. H., A. Arthur, J. Bovaird, and L. M. Wang (2018) “Effects of measured acoustic and other indoor environment factors on student achievement in K-12 classrooms” J. Acoust. Soc. Am. 144, 1894(A). Wang, L. M. (2018) “Reflections on the ‘Topical Meeting on Classroom Acoustics’ at the Acoustical Society of America’s spring 2005 meeting in Vancouver” J. Acoust. Soc. Am. 144, 1951(A). Boyd, B. and L. M. Wang (2018) "Analyzing frequency responses from time-windowed impulse responses across assorted types of room usage" J. Acoust. Soc. Am. 143, 1895(A). Catton, A., L. M. Wang, A. K. Bosen, T. J. Vallier and D. H. Keefe (2018) "How physical versus panned sources in dry or reverberant conditions affect accuracy of localization in sound field synthesis system" J. Acoust. Soc. Am. 143, 1829(A). Smith, K. H. and L. M. Wang (2018) "Exploring relationships between measured acoustic, lighting, and indoor air quality metrics logged in K-12 classrooms" J. Acoust. Soc. Am. 143, 1894(A). Underwood, S. and L. M. Wang (2018) "Measured acoustic conditions in the common spaces of two educational buildings at the University of Nebraska–Omaha" J. Acoust. Soc. Am. 143, 1765(A). Bliefnick, J. and L. M. Wang. (2017) “Distinguishing between varying amounts of diffusion subjectively and objectively” J. Acoust. Soc. Am. 142, 2500(A). Farber, G. and L. M. Wang. (2017) “Analyses of crowd-sourced sound levels, logged from more than 2250 restaurants and bars in New York City” J. Acoust. Soc. Am. 142, 2593(A). Paine, J. A. and L. M. Wang. (2017) “Analyses of sound level variations in occupied K-12 classrooms” J. Acoust. Soc. Am. 142, 2543(A). Underwood, S. and L. M. Wang. (2017) “Comparisons of measured sound power levels across octave bands gathered from different methods and labs” J. Acoust. Soc. Am. 142, 2542(A). Wang, L. M. (2017) “An unexpected but fulfilling path: from a Hunt Postdoctoral Research Fellowship in Denmark to academia in Nebraska” J. Acoust. Soc. Am. 142, 2632(A). Boyd, B. and L. M. Wang. (2017) “Comparison of frequency responses calculated across different time-windowed impulse responses for assorted types of rooms” J. Acoust. Soc. Am. 141, 3777(A). Catton, A., L. M. Wang, A. K. Bosen, T. J. Vallier and D. H. Keefe. (2017) “Determining the accuracy of sound field synthesis systems in reproducing subjective source locations” J. Acoust. Soc. Am. 141, 3511(A). Lee, J. and L. M. Wang. (2017) “Uncertainty in tone quantification methods of background noise for enclosed spaces” J. Acoust. Soc. Am. 141, 3501(A). Wang, L. M., L. C. Brill, H. Lester and J. Bovaird. (2017) “Relations between acoustic quality and student achievement in K-12 classrooms” J. Acoust. Soc. Am. 141, 3966(A). Kuhlenengel, M., L. Brill, S. Deng, H. Lester, J. Bovaird, J. Lau, L. Wang, and C. Waters (2017) "An investigation of school environmental effects on student achievement" 2017 AEI Conference; Oklahoma City, OK; 12-14 April 2017. Blevins, M. G., L. M. Wang and S. K. Lau. (2016) “Design and optimization of membrane-type acoustic metamaterials using genetic algorithms” J. Acoust. Soc. Am. 140, 3431(A). Brill, L. C., J. Lee and L. M. Wang. (2016) “Exploring correlation between sound levels in active occupied classrooms and unoccupied classrooms” J. Acoust. Soc. Am. 140, 2946(A). Lee, J., L. C. Brill, H. Lester, J. Bovaird and L. M. Wang. (2016) “Statistically defining the construct of ‘acoustic quality’ in K-12 classrooms” J. Acoust. Soc. Am. 140, 2946(A). Wang, L. M. and M. A. Davidson. (2016) "Proposed metrics for understanding how directional characteristics of assorted musical instruments change across musical passages” International Symposium on Musical and Room Acoustics 2016; La Plata, Argentina; 11-13 September 2016. Bliefnick, J. and L. M. Wang. (2016) "Investigation across different conditions of room diffusivity measured from a variable acoustics facility” 22nd International Congress on Acoustics; Buenos Aires, Argentina; 5-9 September 2016. Brill, L. and L. M. Wang. (2016) "How the use of different time sampling windows impacts measured noise metrics in K-12 classrooms” 22nd International Congress on Acoustics; Buenos Aires, Argentina; 5-9 September 2016. Hong, H. and L. M. Wang. (2015) “Quantification and subjective perception of varying reflection densities in measured room impulse responses.” 22nd International Congress on Sound and Vibration (ICSV22), Florence Italy. Lee, J. and L. M. Wang. (2015) “Understanding annoyance perception of noise with tones through multidimensional scaling analysis.” 22nd International Congress on Sound and Vibration (ICSV22), Florence Italy. Wong, D., J. Lee, and L. M. Wang. (2015) “How acoustics in California high performance schools relate to student achievement.” 22nd International Congress on Sound and Vibration (ICSV22), Florence Italy. Wang, L. M. (2015) “Room acoustic effects on speech comprehension of English-as-second-language talkers and listeners versus native-English-speaking talkers and listeners.” Distinguished Plenary Lecturer at 22nd International Congress on Sound and Vibration (ICSV22), Florence, Italy. Wang, L. M. (2014) "The impact of building acoustics on speech comprehension and student achievement." Invited Keynote Speaker at Internoise 2014; Melbourne, Australia; Nov. 16-19, 2014. Lee, J. and L. M. Wang. (2014) "Assessment of noise-induced annoyance by tones in noise from building mechanical systems." Internoise 2014; Melbourne, Australia; Nov. 16-19, 2014. Peng, Z., K. Hanna, B. N. Boyd, and L. M. Wang. (2014) "Effects of room acoustics on comprehension of foreign-accented speech by native and non-native English-speaking listeners." Internoise 2014; Melbourne, Australia; Nov. 16-19, 2014. Boyd, B. N., Z. Peng, and L. M. Wang. (2014) "Effects of room acoustics on subjective workload assessment while performing dual tasks." J. Acoust. Soc. Am. 136, 2126(A). Undergraduate Poster Award. Brill, L., M. G. Blevins, and L. M. Wang. (2014) "Analysis and virtual modification of the acoustics in the Nebraska Wesleyan University campus theatre auditorium." J. Acoust. Soc. Am. 136, 2126(A). Undergraduate Poster Award. Blevins, M., A. T. Buck, Z. Peng, and L. M. Wang (2013) "Quantifying the just noticeable difference of reverberation time with band-limited noise centered around 1000 Hz using a transformed up-down adaptive method." International Symposium on Room Acoustics; Toronto, Canada; June 9-11, 2013. Wang, L. M. and B. Kraay. (2013) "Rating low levels of ambient noise in performing arts facilities." International Symposium on Room Acoustics; Toronto, Canada; June 9-11, 2013. Hathaway, A. and L. M. Wang. (2013) "Effects of background noise alternating between two levels at varying time intervals on human perception and performance." 21st International Congress on Acoustics; Montreal, Canada; June 2-7, 2013. Peng, Z., L. M. Wang, S. K. Lau, and A. M. Steinbach. (2013) "Effects of reverberation and noise on speech comprehension by native and non-native English-speaking listeners." 21st International Congress on Acoustics; Montreal, Canada; June 2-7, 2013. Peng, Z., L. M. Wang, and S. K. Lau. (2012) "Effects of acoustic environments on speech comprehension by native-English-speaking listeners." Internoise 2012, New York City, 1865-1875. Peng, Z., S. K. Lau, L. M. Wang, S. Brown, and K. P. Roy. (2012) "Binaural room impulse response database acquired from a variable acoustics classroom." J. Acoust. Soc. Am. 131, 3281(A); Proceed. of Meetings on Acoustics 15, 015003-9 (2013).